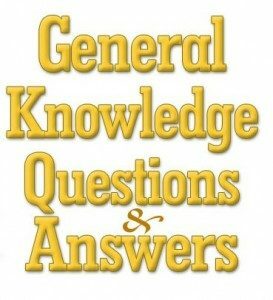 General Knowledge questions on Indian GK for Bank PO, IBPS, Bank Clerical And Indian GK For RRB Assistant Loco Pilot Group D 22-05-2018 questions for bank exams, very important computer-related questions for Bank PO, SBI PO, IBPS,RAS, IAS, UPSC, RPSC, 1st, 2nd, 3rd Grade Teacher, REET CTET, LDC, SSC CGL, IBPS, MBA, CAT, MAT, SBI-PO, RBI And Railway, Indian Army And all competitive Exams, and Most expected Computer Question Papers with answers. These Questions are most commonly asked in Other Banking Exam And All subject Wise Notes and Math, Hindi, English, History, Political Science, Psychology, Sanskrit Related Study material. Question(1) Who was the most prosperous state in the provinces under the Mughal empire? Question(2) Who started the Izaredari system? Question(3) Farmers who started paying advance loans for farming? Question(4) What was the advance loan given to farmers for farming? Question(5) Whose reign of Bengal was called the heaven of India? Question(6) Who was the first Governor General under the East India Company in India? Question(7)Who transferred the official treasure from Calcutta to Murshidabad? Question(8) Which Act, Warren Hastings was made the Bengal Governor-General? Question(9) Who has established a civil and criminal court in every district? Question(10) Where did Warren Hastings set up the Supreme Court under the Regulating Act of 1773?